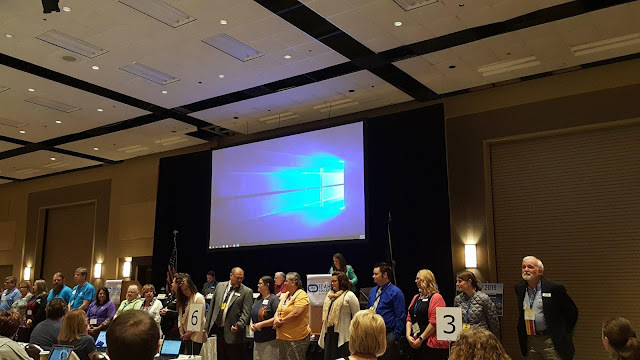 Last month, I had the opportunity to spend a good portion of a week in Boise, Idaho for Delegate Assembly 2018 and all of its components. 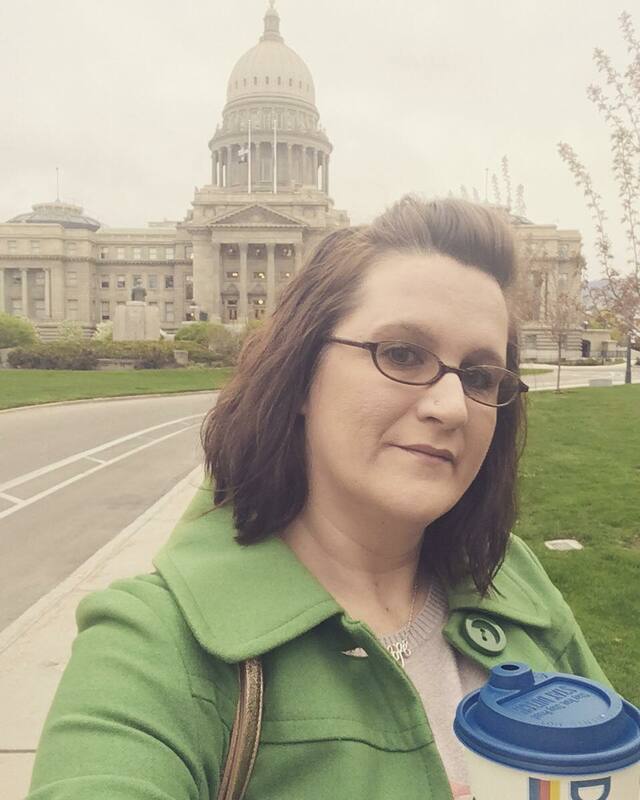 In the picture above, I snapped a touristy shot of me, my coffee, and the state capital on the way to IEA Headquarters. 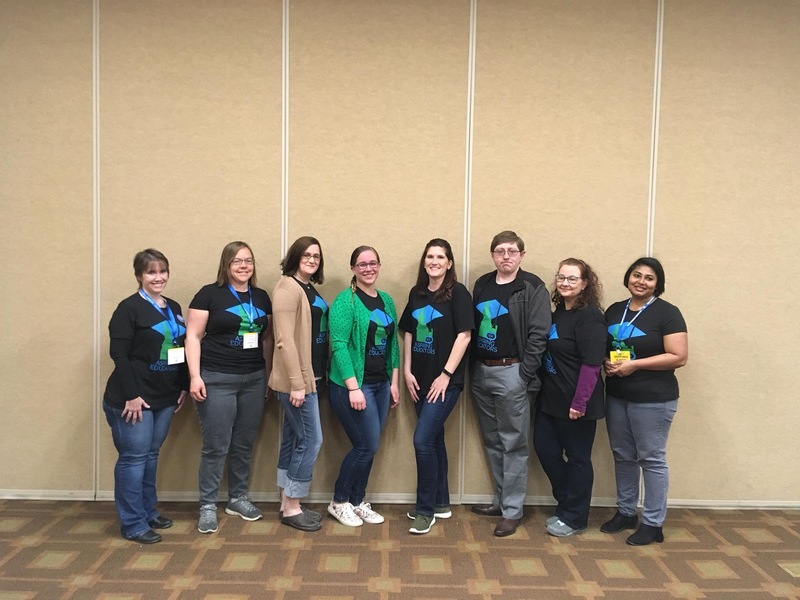 As IEA Student Program Chair, I hold a seat on the Board of Directors (pictured below with other members of the board). Each quarter, we spent a Saturday afternoon to discuss policy, education issues, new business items, and hold committee meetings. For Delegate Assembly, we had to make final preparations and final recommendations to bring to the state delegates. 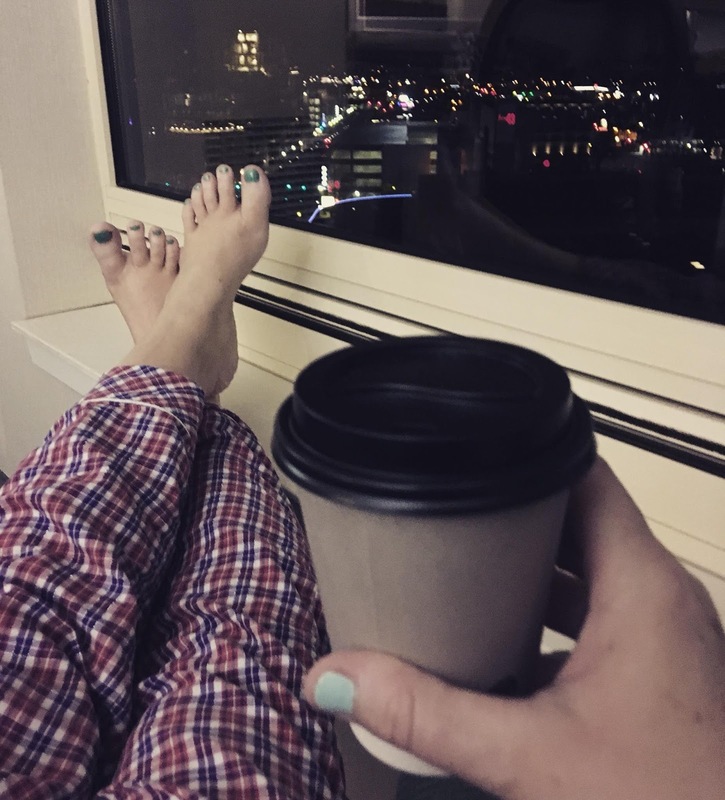 Business preparations were complete, it was time for a good night's sleep and some much needed coffee (with a view) in the morning. I have my credentials and I am ready to go. Today has a full agenda of opening business, the budget, presenting what the board and the various committees have done over the year, updates to the bylaws, a few visitors from those running for State Governor, New Business Items, and much more! Here, I am with the Board of Directors. We started our day early with a Student Program Caucus. I have never attended a caucus; however, as Student Program Chair, I had the opportunity to lead the student delegates. 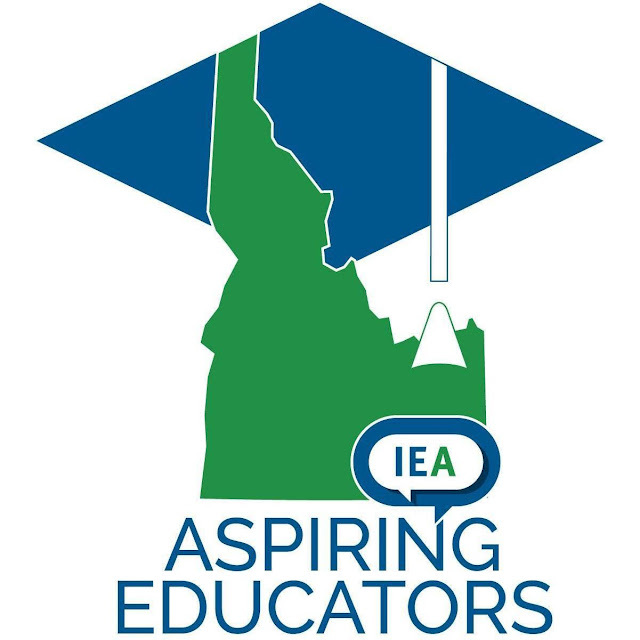 We mostly took the moment to get to know each other as we were from various higher education institutions around Idaho and discussed the New Business Items that we were going to be presented with today. I was thankful to have my mentor from ISU-TF and the U of I mentor present to help me in the conversation. 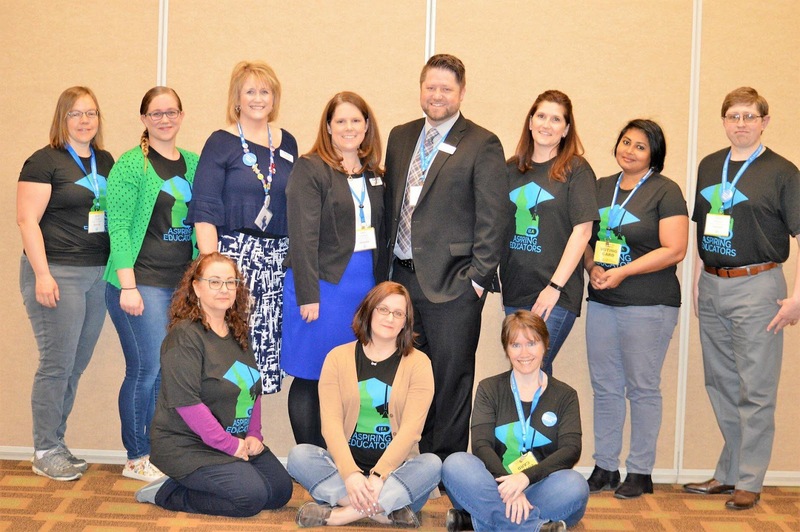 We were even blessed with a visit from our IEA President, Vice President, and National Education Association (NEA) Director; so we asked if we could have our picture taken with them. As a good leader would, I made sure we had time to get well-caffeinated for the day ahead! During the second day, we stopped the discussion of New Business Items in order to complete our Awards Ceremony. 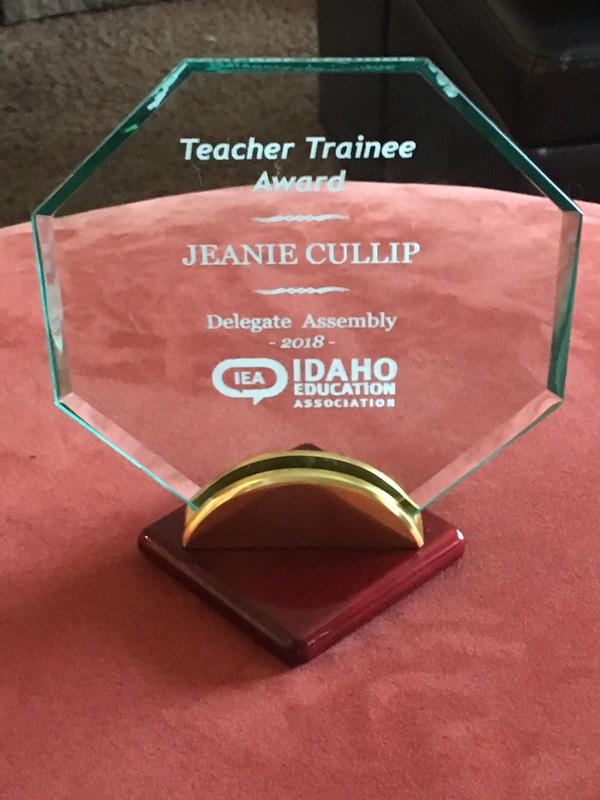 During this time, I was presented with an award for IEA 2017-18 Teacher Trainee. 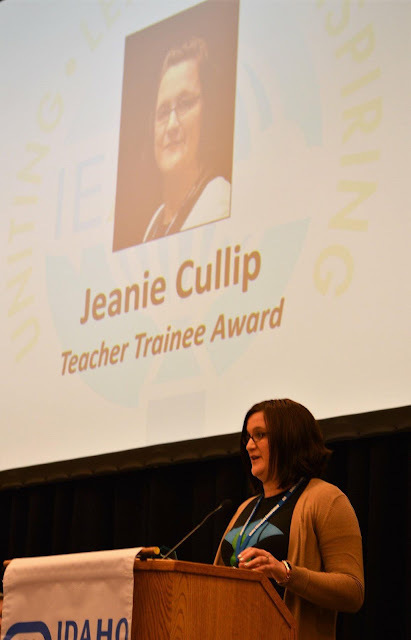 It is my pleasure to present the 2018 Teacher Trainee Award to Jeanie Cullip (local newspaper article). Jeanie currently attends ISU-Twin Falls. She will graduate next spring with a K-8 Certification as well as a dual emphasis in English and History. 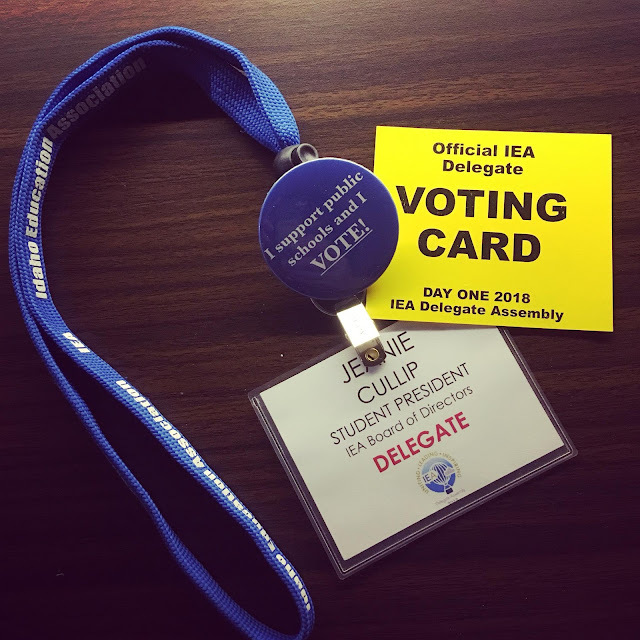 Jeanie is the IEA Student Program Chair, President of the Magic Valley Aspiring Educators, and Student Member on the IEA HCR Committee and IEA Board of Directors. 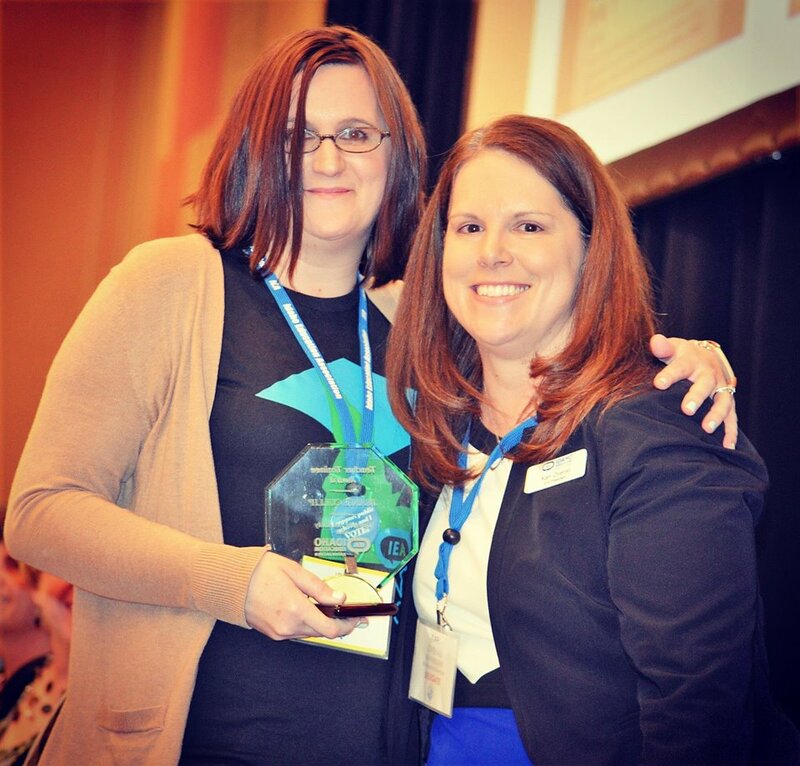 While attending CSI, Jeanie was the Elementary Education student of the semester and leader of the education club. She always goes the extra mile for her future career while consistently appearing on the Dean’s List. Jeanie credits her father with teaching her about unions and the important role they play in advocating for employees. Her father was active in his trade unions and ensured she understood how “they provide assistance to make sure jobs are fair and provide a way to make a difference when things aren’t right.” When she started school she knew she needed to join the Association. In her spare time Jeanie is a wife and mother to five children. She can’t wait to have her own classroom. She has been dreaming of this since she was 4 years old. This was by far the most difficult thing I had to do. 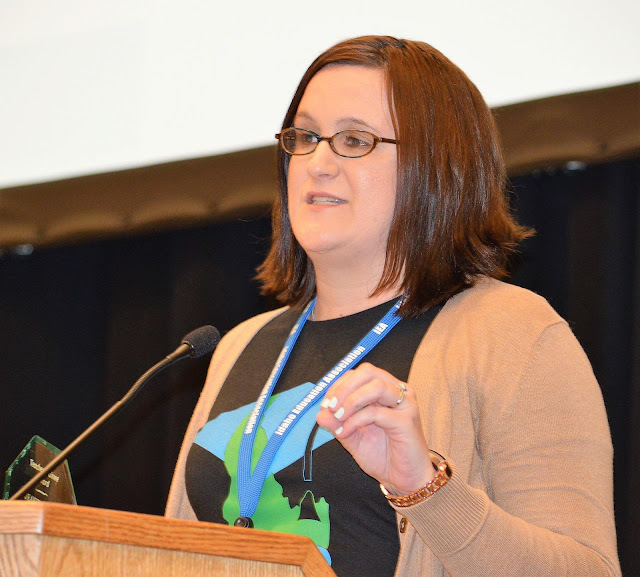 Speaking in a large room in front of 400 people. 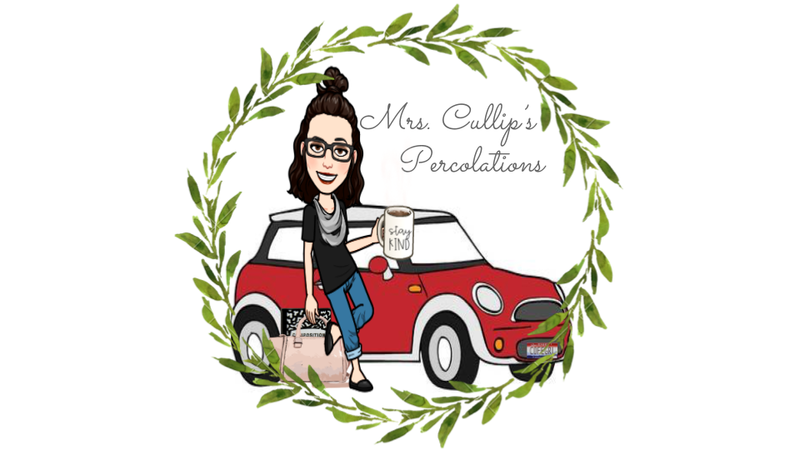 But, as I have learned and has been my motto since I began this adventure: “She believed that she could, so she did” More importantly, I have people behind me rooting me on.. this makes it all possible! Here, I am with the other fabulous award recipients. As you can imagine, this was definitely a week to remember! 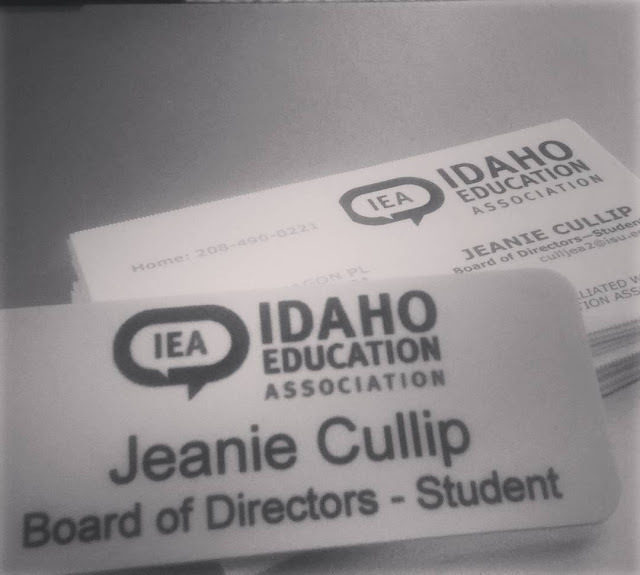 It has been an incredible year as IEA Student Program Chair, being able to serve on the board of directors, and leading a phenomenal group of aspiring educators around the State of Idaho. This summer, I am looking forward to being able to attend this years, NEA Representative Assembly in Minneapolis, MN. As chair of the student program, I will be able to represent Idaho at the national level, alongside 7,000+ educators around the United States.